The fundamental design principle of INpower DM Road powermeter is integrated power measurement technology inside the axle to precisely record your power output, pedal smoothness, cadence and torque effectiveness to improve your pedaling performance and reach your training goals. Track your ride with real time data including proprietary metrics TORQUE 360, Optimum Chainring Angle (OCA) and a recommendation of your Optimal Chainring Position (OCP). 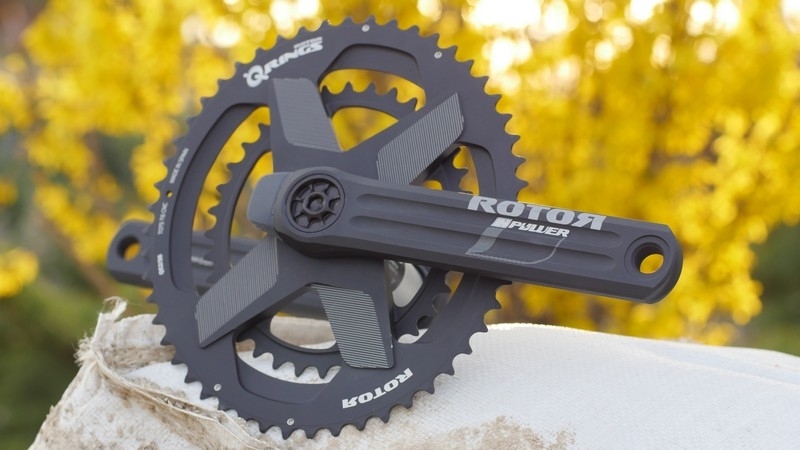 Combine this key information with Q RINGS® oval chainrings to adjust your OCP. Connect to your cycling device or smartphone via Bluetooth® or ANT+ to get a complete picture of your pedalling performance with analysis platforms such as TraingingPeaks.com. Combined with the free ROTOR power smartphone app, access equivalent metrics and graphs that have previously only been available in biomechanical training labs.